Jesuit junior Josh Mallitz and Jefferson senior Mike Dominguez squared off in a thrilling pitcher's duel Tuesday evening, with Mallitz coming away with the victory as the Tigers took a 2-1 win. TAMPA – Tuesday’s Class 6A-District 8 showdown between a pair of D-I committed righties lived up to every inch of the billing as Jesuit junior Josh Mallitz and Jefferson senior ace Mike Dominguez flat out dealt. 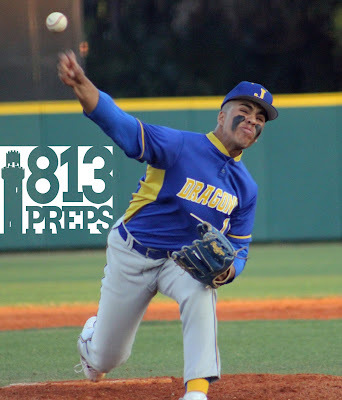 But it was sophomore, junior varsity call-up Nick Rodriguez making his first ever varsity appearance, who stole the show and the win with a two-out, two-strike RBI single up the middle that tipped things in Jesuit’s favor in the 2-1, Tigers victory. Rodriguez certainly wasn’t going up there with the bat on his shoulder, fouling off the first two fastballs he saw in the sixth inning, then sitting back on a 2-2 curveball and returning it back up the spout. 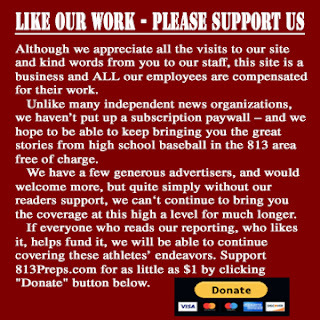 Dominguez, a Florida State signee, pounded the strike zone with a fastball that seemed to build in strength as the game went on and touched 95 MPH on a radar gun behind the plate in the third inning. Dominguez worked six innings, allowing two runs on four hits and striking out nine. While Mallitz worked the inside well, mixed in a nice changeup for strike three and worked around six hits in the game. The Ole Miss verbal commit finished with one run allowed and six strikeouts. Jesuit junior starting pitcher Josh Mallitz. 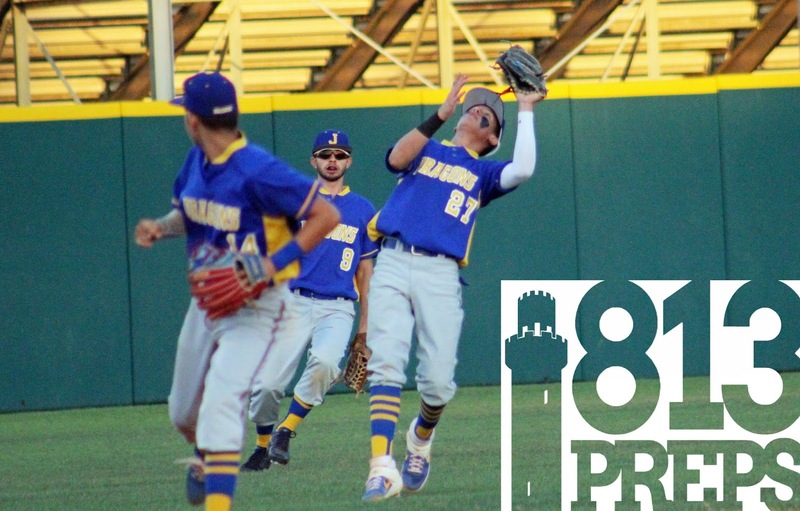 Both starting pitchers gave up third inning runs as Jefferson (4-8, 2-3 in 6A-8) got on the board first when Nick Perez singled, who moved over on a Ian Quelle sac bunt, went to third on a Jaiden Duarte single, and crossed the plate on an RBI single from Oscar Galvez. 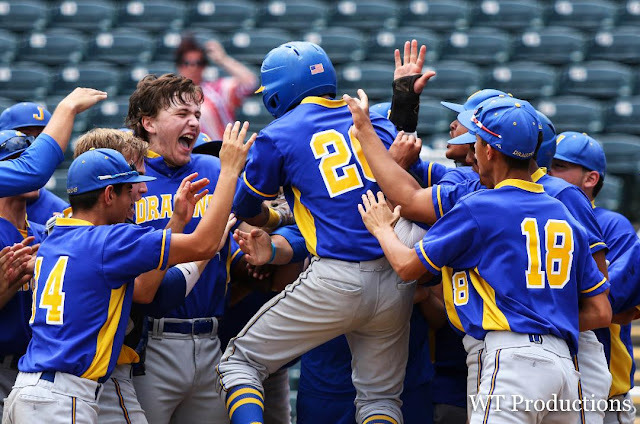 Jesuit (11-2, 5-0 in 6A-8) answered in the home third as Bennett Lee crushed a ball to deep center and motored all the way to third with a triple. BJ Graham stepped to the plate after Lee and put a flyball to deep center to drive in Jack Morony, running as the speed-up for the catcher Lee. Both teams showed off the leather as Jesuit turned a smooth double-play to end the third, second baseman Brandon Incardona made a great snag and flipped to SS Jalen Niles, who relayed it on to first baseman Henry Politz, and then both Incardona and Niles made great plays on ground balls for assists in the fourth inning as well. 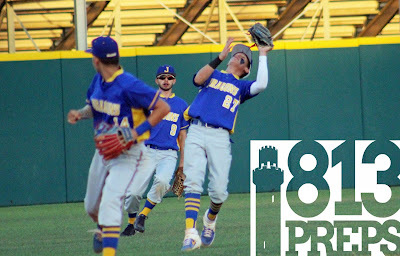 But the defensive gem of the night was on the other side, as Galvez robbed Rodriguez of what should have been his first hit and RBI (possibly more) diving toward the second base bag and snagging a liner headed for centerfield with the bases loaded in the fourth. Jefferson's Oscar Galvez makes a catch at SS in the second. 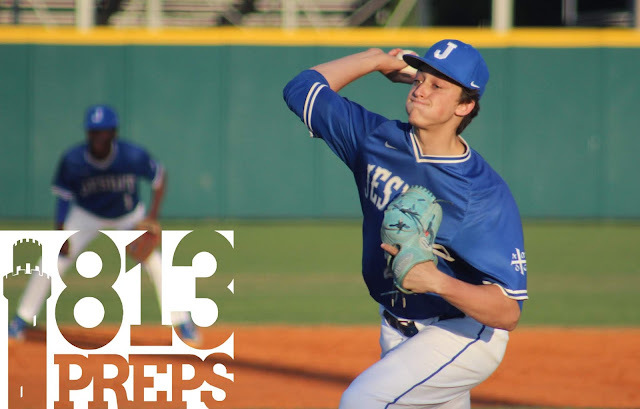 Not wanting to be left out of the night’s pitching highlights, Jesuit junior Turner Thompson took to the mound in the seventh and struck out the side to earn the save.